Fractures of the patella are relatively rare injuries for children. Fourteen patients with patellar fractures were reviewed. There were 12 boys and two girls with the age ranging between 9 and 15 years and an average of 11.4 years. 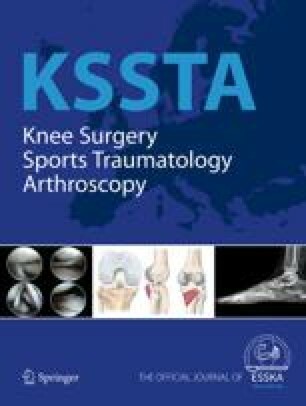 Sleeve fractures were the most common type of patellar fractures observed (eight cases), followed by transverse fractures (four cases) and comminuted fractures (two cases). All the fractures were treated with open reduction and followed up for 2 to 20 years. Overall results were good in 13 patients, and flexion limitation of the knee was seen in one. Fractures of the patella in children are characterised by sleeve fractures. The prognosis of the patients treated with open reduction is generally good.